Each capsule is loaded with caffeine to get you going in the morning or to keep you going at night! When you take T-Lite, follow the provided three-day diet. After four days, it may be repeated until you reach your target weight. 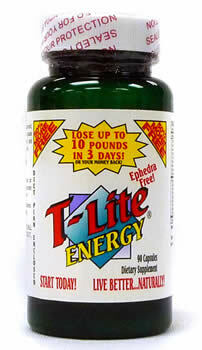 T-Lite may be used by people who have problems with diabetes, heart ailments, or high blood pressure. It will not interfere with existing health conditions or prescription medicine. Be sure to consult with your health care practitioner before starting any behavior modification program. All T-Lite products contain a unique chromium blend that maximizes bioavailability and helps regulate blood sugar, preserves lean muscle tissue, and aids in reducing fat deposits, plus natural sources of energy to improve metabolism and help the body burn fat more efficiently. T-Lite Stimulant Free is the preferred product for diabetics, pre-diabetics, and persons with high-blood pressure or heart conditions. 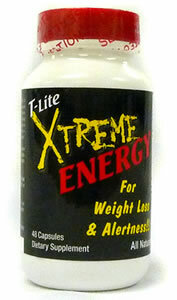 T-Lite Stimulant Free contains natural sources of herbal energy without ephedrine. Our B vitamin complex helps to replace the vitamins you lose while dieting and helps to reduce anxiety and stress. BeeReady is a chemical, dye, and preservative free supplement formulated to alleviate symptoms associated with over-consumption of alcohol. This supplement allows the body to process alcohol and reduce typical adverse affects of alcohol consumption such as liver damage and can also help reduce premature wrinkling caused by smoking. Call 1-800-854-8353 for more information!